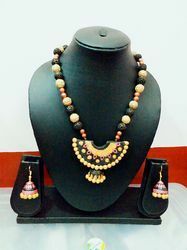 The beautiful terracotta necklace set is hand crafted and is unique and trendy designer jewelry blended with ethnic and traditional look. 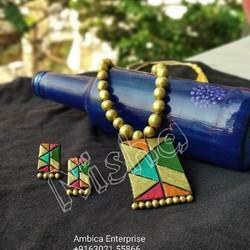 This beautifully handcrafted pendant and earring is hand sculpted using clay, baked to set and intricately multicolored over the original color. Very light weight.